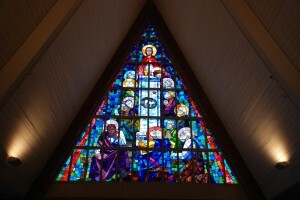 It was in 1950 that the expansion of west River Heights led to the formation of a new congregation. Intially the fledgling church met in a pre-fab building located where there is now a small parking lot at the west end of the building. The new congregation wanted to honour its first minister, Dr. H.B. Duckworth, by naming the church after him. But Dr. Duckworth rejected the idea, saying that he wasn’t all that fond of the name himself! In the end the name was formed from “West” — referring to west River Heights where it is located — and “worth” from “Duckworth”. In 1954 the temporary building was replaced by the gymnasium which provided space for worship and a burgeoning Sunday school. 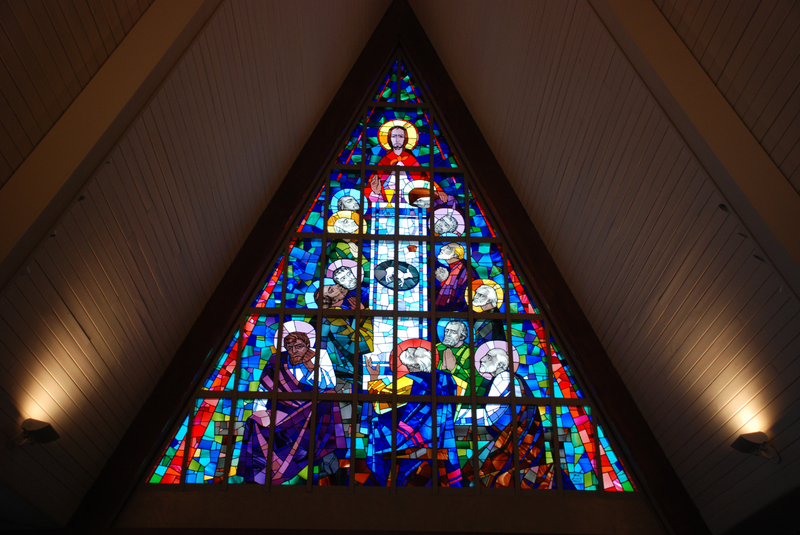 In 1959 the beautiful sanctuary — with stained glass windows by Leo Mol — was opened for worship. Rev. Allan Simpson, who had succeeded Dr. Duckworth in 1951, concluded his ministry in 1971. Ministers in the ’70s were Dr. Fred McNally and his team-mate Rev. Ian Macdonald. In 1979, Rev. Dr. Eleanor Geib began a 20-year pastorate in which she worked with (among others), Rev. Terry Hidichuk and Jackie Stark. A strong ministry of music was led by Winnifred Sim, beginning in the 1960s, and has continued under John Standing, Ruth Wiwchar, and Dorcas Windsor. In 2002 extensive renovations were undertaken. The sanctuary (worship centre) and narthex (lobby) were remodelled, new washrooms and an elevator were added, and many fire-safety upgrades were installed. The addition of an excellent Yamaha C7 grand piano and improved acoustics has led to Westworth’s being a much sought after venue for concerts and recitals. Westworth has long had a strong commitment to supporting the Mission and Service Fund of the United Church. This funds mission work both in Canada and overseas. Westworth also supports West Broadway Community Ministries with volunteers and donations. It has supported community initiatives and has sponsored refugee families over the years.